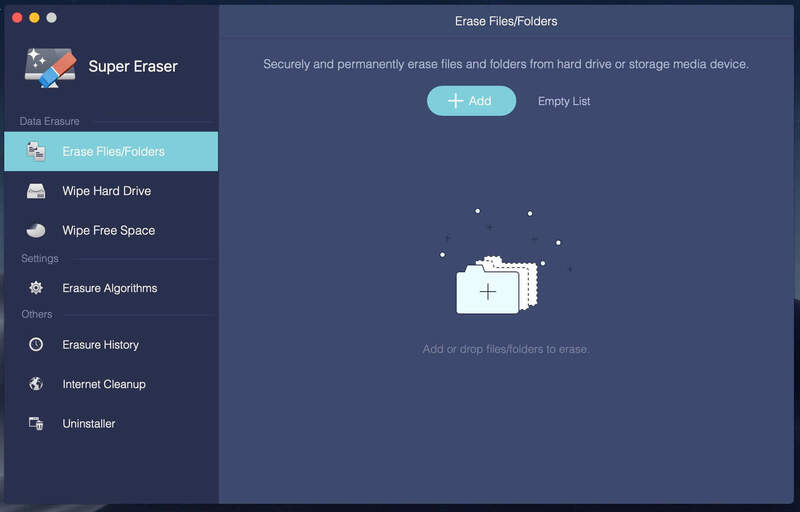 DoYourData Super Eraser offers reliable data erasure to permanently erase selected files/folders, as well as to wipe entire hard drives and storage media, and to wipe unused disk space to destroy deleted data and traces. After erasure with DoYourData Super Eraser, the erased data is permanently removed, and can’t be recovered by any data recovery software or method. If you want to permanently erase files, folders, or data hard drive or storage media, DoYourData Super Eraser is a good choice. Using advanced technology, DoYourData Super Eraser is capable of destroying and overwriting your data, permanently removing it from your hard drive. Nobody can recover the erased data even with the most powerful data recovery software. DoYourData Super Eraser also can erase data from storage media like USB drive, external hard disk, SD card, memory card, digital camera, digital recorder, DV, etc. Before you sell your old computer, or log-out from a public Mac, you’d better permanently erase your private files and folders to protect yourself from recovery of personal data. DoYourData Super Eraser can help you do this job. It supports erasure of data in FAT16, FAT32, exFAT, HFS+, HFSX, and NTFS file systems. All Macs and a wide variety of storage devices are supported. It is fully compatible with OS X 10.6 or later, and OS X server.